” Ba -Ba, But eh doctor”, I protested to no avail as I was handed over a packet of antibiotics to take for a week. This happened in 1993 when I was a first year medical student at the University of Zimbabwe. Since birth I had been aware that something was wrong with my groin and I remember being ashamed of bathing in public at school. I would try to bath when they were few students for fear of being teased. It was not until I started studying medicine that I realised that I needed to do something about my groin problem . I self diagnosed after studying anatomy ,that I had Congenital Inguinal Hernia. A hernia is when there is a hole or weakness in the tummy muscles. This means that organs or tissues inside the tummy can poke through the hole and cause the skin to bulge. An inguinal hernia is a hernia that occurs in the groin region. “Congenital” meaning that the defect is present from the time one is born. During development in the womb, all babies normally have a tunnel that connects the tummy to the groin. In boys, this connects the tummy with the scrotum. The testicles initially grow inside the tummy and descend through this tunnel to end up in the scrotum. This tunnel is supposed to seal off prior to the baby being born. If it fails to close before birth, then the child is at risk of having an inguinal hernia. Having suspected that I had congenital inguinal hernia I made a trip to see a doctor at the University Medical Centre. I saw doctor ( name withheld ) and I told him that I had a groin swelling and was worried that I had a hernia . The doctor did not listen to what I was saying but kept on asking me about my sexual life which was nonexistent at thattime. He did not even bother to examine me. I was surprised when he told me that he suspected that I had sexual transmitted infection. My plea that I was a virgin was not heard as I was given antibiotics to take for a week. I had so much respect for doctors and took the antibiotic as instructed as I thought maybe I got the infection from using one of the public toilets. ( that was silly thinking). I finished the course of antibiotics but my groin swelling remained there. 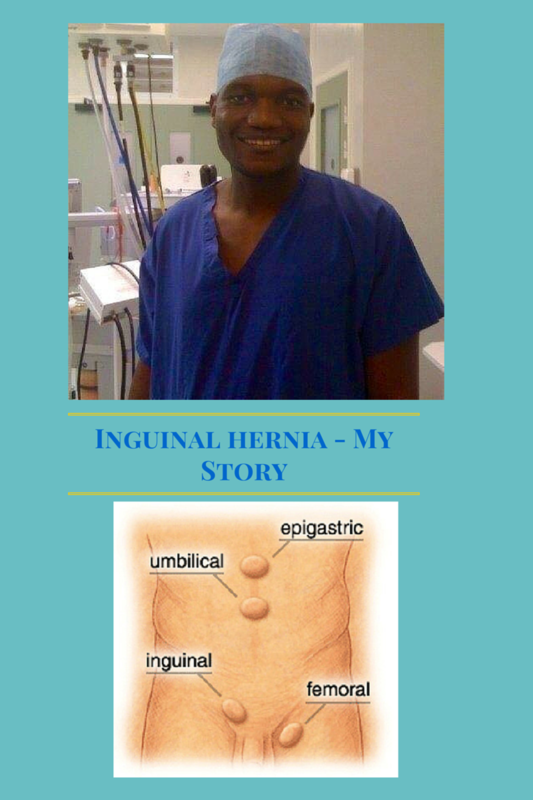 I then sought second opinion and went to see Dr Ndiweni ,the physician who reassured me that I had no infection but a hernia and he referred me to Mr Harrid ,the surgeon who eventually carried out the operation to repair the hernia in December 1993. Looking back I resent the first doctor for not listening to me , but I am grateful to the other two doctors who addressed my ideas, concerns and expectations. There is no doubt that the age of the paternalistic, “doctor knows best” model of health care is gone. We say here , “Nothing About Me Without Me” and if it does not involve us then it’s not for us. I think that every doctor-patient relationship should represent a collaborative effort in which patient needs and wants need to be taken into account and, wherever it doesn’t conflict with science- and evidence-based medicine, patients’s wishes should be paramount. Doctors do a fantastic job and there are so many good stories that we should acknowledge. The issue is to make sure that you are involved in the decision making about your health. From my experience I think doctors and carers, we need to slow down, remind ourselves that we are here to support and not take over. When we are doing this without the patient we are in effect saying it is not their life anyway. How many things do we do for the person? When what we should be always be doing is with the person. We must never forget that it is not our life, it is their life. We do not make decision for the patient , we make decision with the patient. As for carers , we do not clean for disabled people, we clean with them. We do not shop for them but we shop with them. Feel free to share your experiences, comment or like the article if this resonates with you. Let’s meet tomorrow as I publish the part 2 which looks at different types of hernias.